As mentioned in my last text – Brazilian Far West – the shareholders of the company Casablanca decided to terminate its activities in 1969. 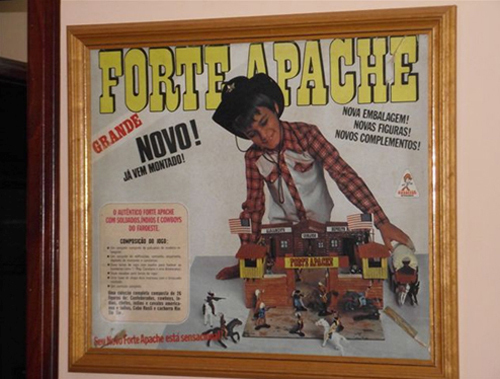 One of its shareholders, Luis Lavin, together with other family members, decided to create a new company – Gulliver – to keep making far west toys in Brazil. 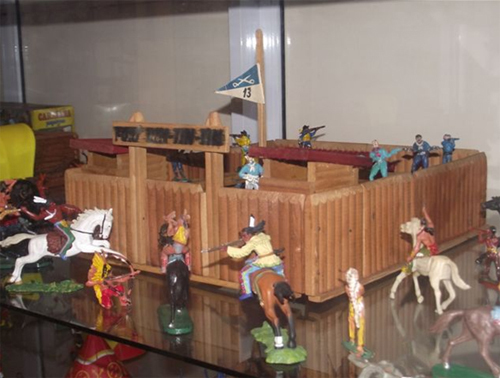 In this text I will talk about the forts made in Brazil during the 1970’s by this new company – Gulliver. 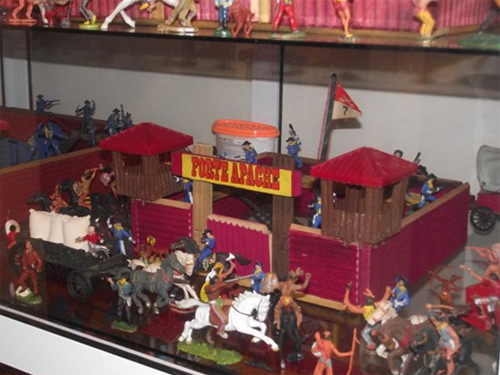 In the sequence I will also talk about the forts made during that same decade by another toy maker – Trol. I do not have reliable information regarding the forts made by Gulliver between 1970 and 1972. 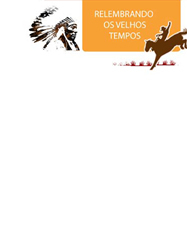 In 1973 the company launched a new series named “Série Far-West” and, since then, we have well documented information. Therefore, the fort shown above may have been the first one made by Gulliver, in its first years. This fort, if made by Gulliver, was almost a copy of the forts made by Casablanca. This copy would be understandable, since Gulliver was only starting its operations and did not have yet its own projects. 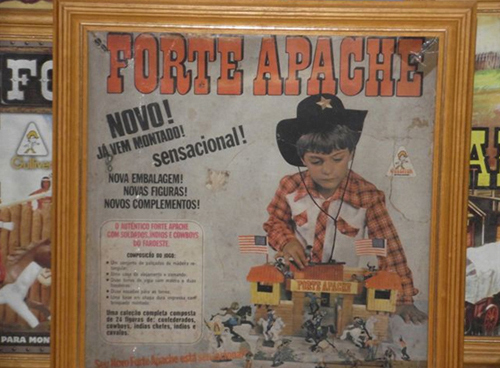 The differences to the Casablanca forts were: a) the flag (7th cavalry, instead of American flag) and b) the way the lettering “Fort Apache” was shown. The fort was composed of four walls, tower and headquarters. 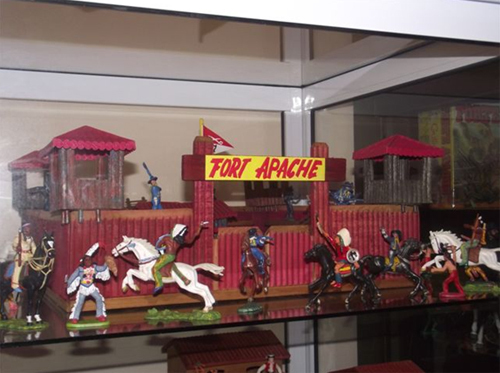 Although the real 7th cavalry never garrisoned the real Fort Apache, this historical fact was always ignored by Gulliver. 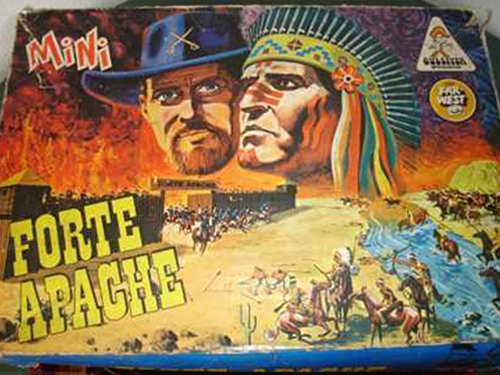 The company decided to explore the popularity of Fort Apache (from Rin Tin Tin), together with the popularity of the 7th cavalry (from General Custer and the Little Bighorn). If I have doubt about the above mentioned Fort, I am pretty sure that the next fort was made by Gulliver between 1971 and 1972. It was the “small” model. Since then Gulliver would always make forts with different sizes: small, big and, sometimes, medium. This next fort came assembled in the box. 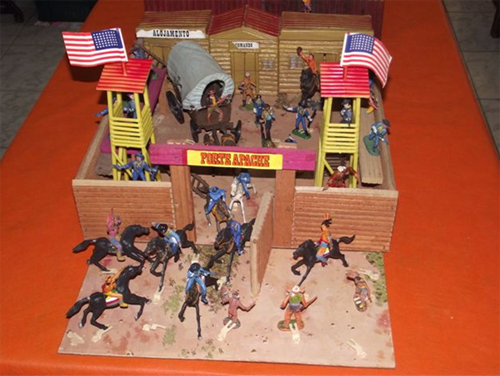 The box of this fort was decorated with an illustration from Nelson Reis, which I consider the most beautiful ever used in far west’s toy’s boxes made in Brazil. This same illustration would be used for the forts made until 1977. 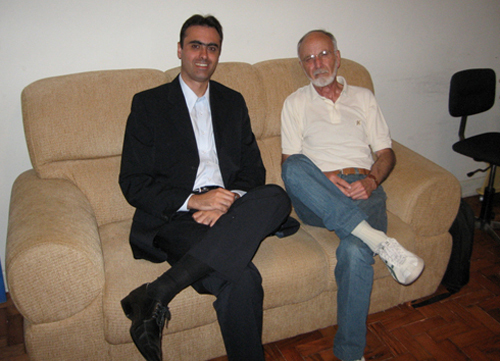 Nelson Reis produced the illustration for many of Gulliver’s boxes, and some of his works will be shown in my texts. This second fort did not have headquarters. However, it came with two sentry boxes (in plastic). Gulliver’s forts would then have sentry-boxes until the 1979 model, when they would be substituted by towers. 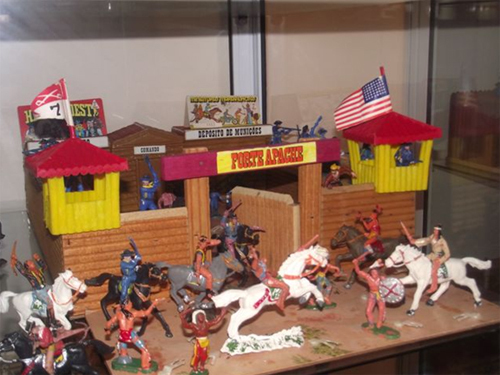 In 1973 Gulliver released the Far-West series, with various toys. Other toys that composed this series will be subject of future texts. 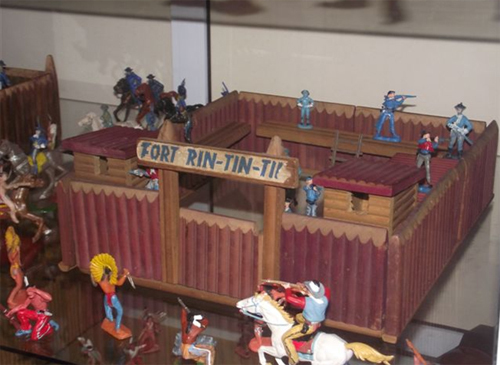 The series came with three models of forts: big, medium and small. Differently from the previous one, they did come assembled, the four walls had to be engaged by the user. Big and medium ones had headquarters (a house). The small one did not have headquarters. The big one had four sentry-boxes. The medium and small ones had two sentry-boxes. All three came with 7th Cavalry flag, in flagpole. The gate of the big one was divided in two halves. The headquarters house from the medium model would change – in 73 and 74 the “boards” of the house were vertical, just like the ones from the sentry-boxes. Between 75 and 77 the “boards” were horizontal, as shown in the picture below. That was the major difference. 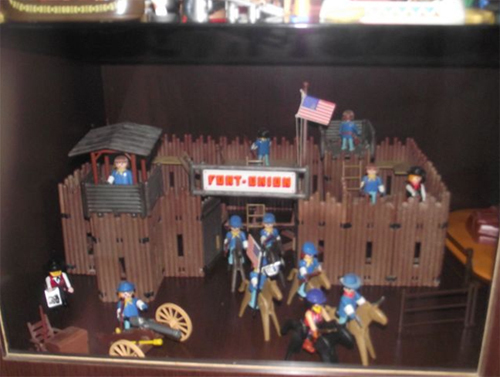 Forts now came with American and 7th Cavalry flags, instead of only 7th Cavalry one. That is what happened in 1978. The beautiful artwork from Nelson Reis, show above, was “retired”, and two boys were shown in the boxes of 1978 and 1979. Nelson Reis would come back in 1980. From these new boxes it is interesting to note that the boy shown in the box of the big fort is a little older than the boy shown in the box of the small one…bigger X big, smaller X small. The only change made for the 1979 forts was the substitution of the sentry-boxes for towers (always “inspired” by Spain). 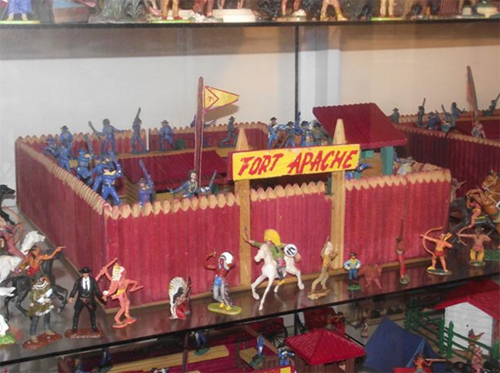 Below is a picture of the big 1979 fort. I do not have a picture of the small one, but just look at the last picture shown above and imagine towers instead of sentry-boxes. The basis of the 1978 and 1979 forts represented desert terrain. Interestingly, the basis of the fort that I gained at the end of 1979 did not have this design, it was simply green. I do not have images of the boxes of the 1979 forts. 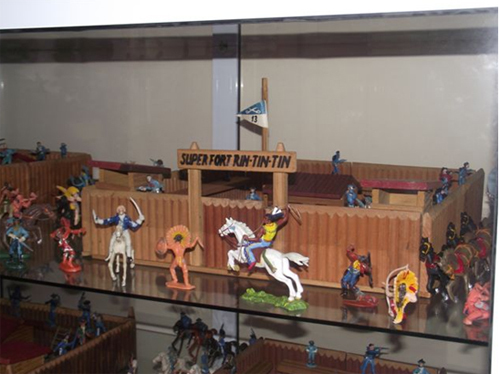 However, they were basically the same ones from the 1978 ones, only the fort was different (towers X sentry-boxes). If my memory is good the shirt worn by the boys was also a little different. 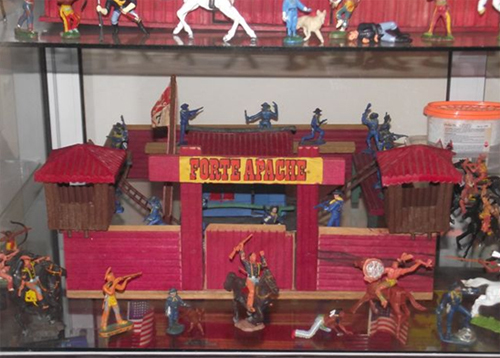 Since Brazilians did not care to preserve the history of our toys, we have to rely in the memory of the collectors to try to reconstruct such history. With some reliability my memory goes as far back as 1975. Behind that date it can not be relied on. 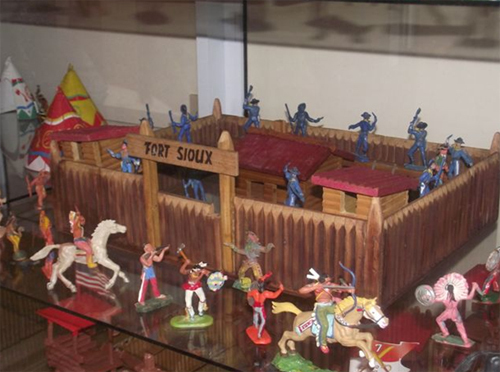 The first fort I will show is named Fort Sioux. 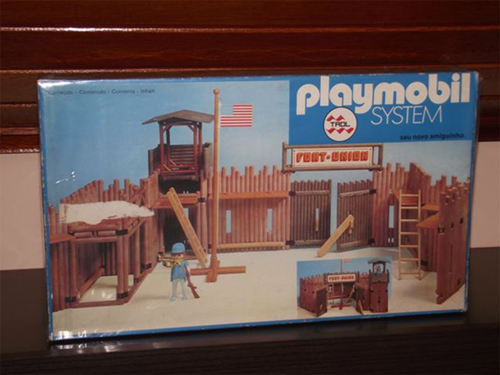 I define this fort as being made before 1975 before I never had it, and my friends (with the same age) also never had it. I can not even be sure that it was made by Trol. However, if you look at the other forts that will be shown in the sequence you will see that the model is basically the same. 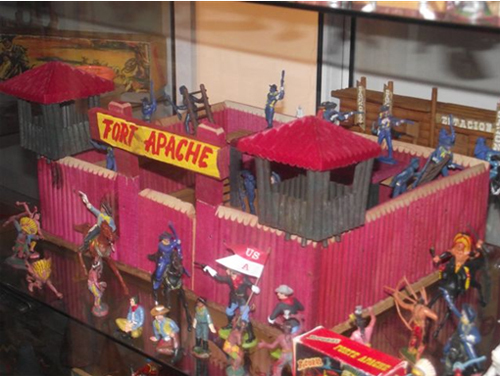 That is why I list this fort as one of the models made by Trol. Sentry-boxes and headquarters shown in the picture below are not original from this fort. The original ones are unknown, and might be different. Next three models are named Fort Rin Tin Tin. The TV series was a huge success in Brazil in the 1960’s and 1970’s, that is why Trol decided to use this name. 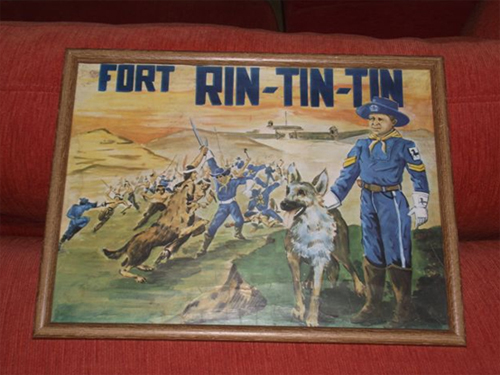 The first picture shows the small Fort Rin Tin Tin made before 1975. If there was a big one at that time, I do not have a picture of it. 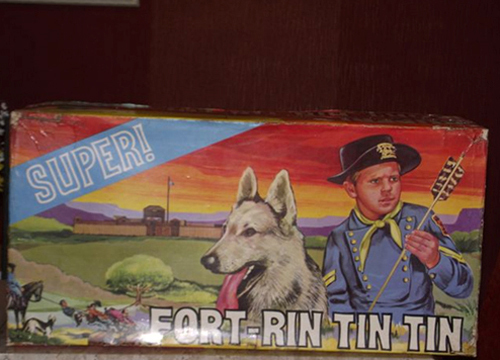 Below are pictures of the two boxes (big and small), both showing Corporal Rusty and Rin Tin Tin. The artist is unknown. 1977 was the year of a revolution for us, Brazilian kids. Playmobil showed up here, made by Trol. Maybe you can’t imagine the success … children literally invading the stores, pulling their parents, to get their new Playmobil toys. It is incredible that by the end of the 1980’s even with all this success, Trol went bankrupt and terminated its activities. 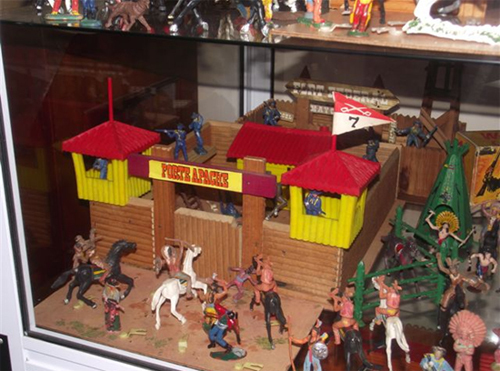 Anyway, I lived that frenzy, and I really wanted the Fort Union (first Playmobil fort made by Trol). That time was a little different, and we, kids, did not get everything we want. In modern times, kids command their parents and get everything they want. Thus, although I really wanted it I had to wait for some special date to get mine. 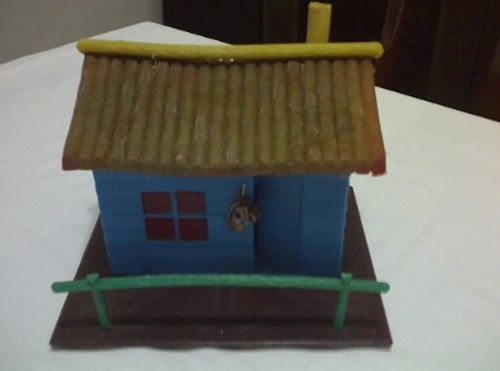 When I finally got it I was very happy, but had a little frustration … only one soldier came with the fort. How could I do a battle with only one soldier? 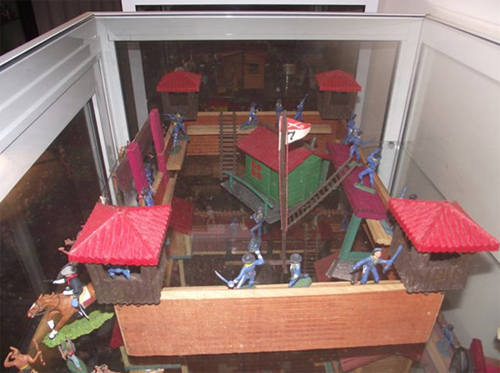 Of course, the strategy of Trol was to force parents to buy soldiers, once that their kids had the fort. Well folks, that was what I had for now. Hope you have enjoyed this little trip through the 1970’s. Comments are welcome, even if you did not like the text. See you in two months from now. Nice Marcos, I just read it all again in English. Thanks for your efforts to keep our memories alive. I remember that I got the Fort Union from Trol as well, I love it by that time. All gone forever. Thanks to Lord I am getting everything back again. Best Regards.